Lynne has specialized in the South Florida luxury housing market since 2002 including, Delray Beach, Boca Raton, Boynton Beach, Highland Beach, Ocean Ridge and Lake Worth. She is among the top agents in the area and is the essence of professionalism and integrity. She has a background in Business, Banking and general real estate sales. She attributes her successful sales’ results to the personal relationships that she forges with her clients. Lynne stays current with changing market conditions and trends in order to provide exceptional service and ensure a timely sale. Her perseverance and real estate market savvy help her achieve 100% client satisfaction. The relationships that Lynne forms with clients often last long after the purchase or sale of a home. Her clients’ satisfaction is her top priority and drives her to consistently exceed her performance goals and expand her growing referral base. 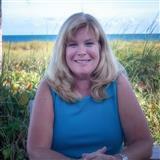 With Lynne Freeman, you can expect ABOVE AND BEYOND service throughout your real estate transaction.